We were really pleased to welcome Stephen into our school on Friday 16th September. Stephen is an expert in sustainable cocoa farming and farms in Ghana. 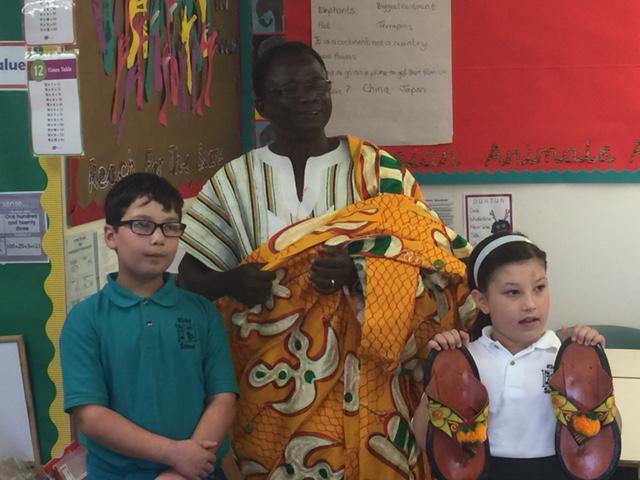 Stephen presented a picture with Ghanaian symbols to the children in Assembly and visited each class. Year 6 interviewed Stephen for the next monthly newsletter.